€970 per person. Upgrade to a Private Camp for an extra €130 per person. Temperatures not only in the Sahara but also in Marrakech, Ouarzazate & Anti-Atlas are in the 40s °C in summer. In winter (typically January) snow in the mountains can close the high passes at times, or lead to unexpected delays and route changes. The weather conditions in the desert are prone to change quickly and never predictable. However windy conditions in the desert are common, this is not the same as a sandstorm. Don’t underestimate geographical distances and travel times. 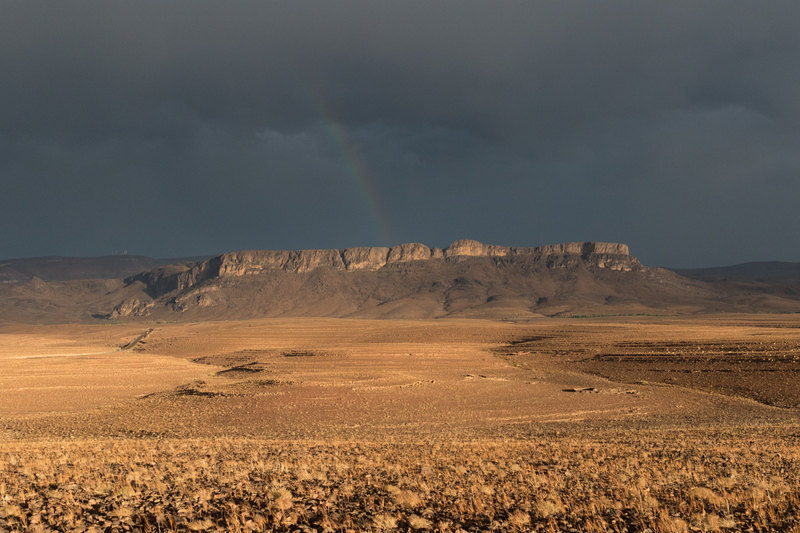 Although Morocco is smaller than Spain, traveling in the South can lead to long driving hours due to the nature of the terrain here (mountains, desert, valleys). Be prepared to travel on average 5-6 hours per day. It’s far better to miss out a couple of places to maximise time elsewhere and to enjoy the journey. You can always come back! Camels in Morocco are known as Dromedaries – camels with a single hump on their backs. These are very gentle creatures that are highly intelligent and extremely patient, the exception being the leaders of the herd, which can become aggressive if the herd is in danger. They have long thick eyelashes and very hairy ears as a protection from the sand. Full-grown camels can stand at a height of between 6 / 7 feet and their lifespan ranges between 25 to 50 years of age. Owners and locals respect them for their natures and their ability to survive in the desert with very little food and water. That amazing ability to survive the desert heat comes from being able to increase camel’s own body heat. 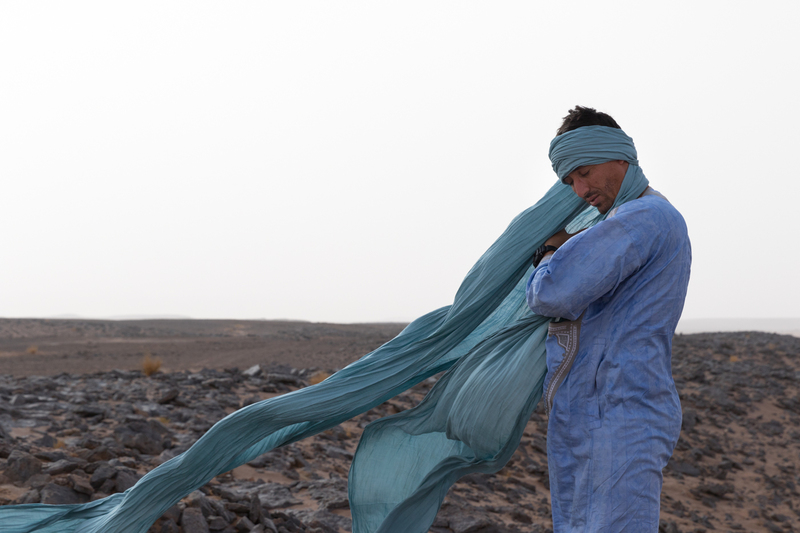 This is the most comfortable way to dedicate time to the journey to the Sahara and to the desert stay itself. Driving hours are not overly long and you’ll have plenty of time for photo opportunities and activities during the tour. Spend two nights in style in the desert and two nights en-route to/from the Deluxe camp. 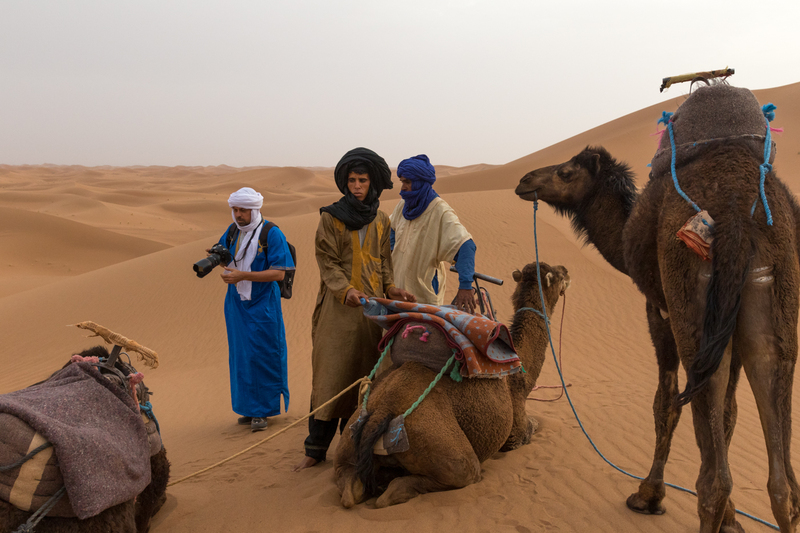 With two nights en-route at guest houses, enjoy guided short walks in the palm oases and Atlas mountain foothills which we arrange via your guest house teams. With two nights at camp, allow yourself a full day in the desert to enjoy a longer camel-trek or hike with picnic lunch. The Deluxe camp also offers dune-boarding, games, hammocks, sheltered outdoor relaxation spaces and evening aperitifs on the dunes at sunset. For a truly private escape, enquire about upgrading the tour to stay at the Nomadic Camp. 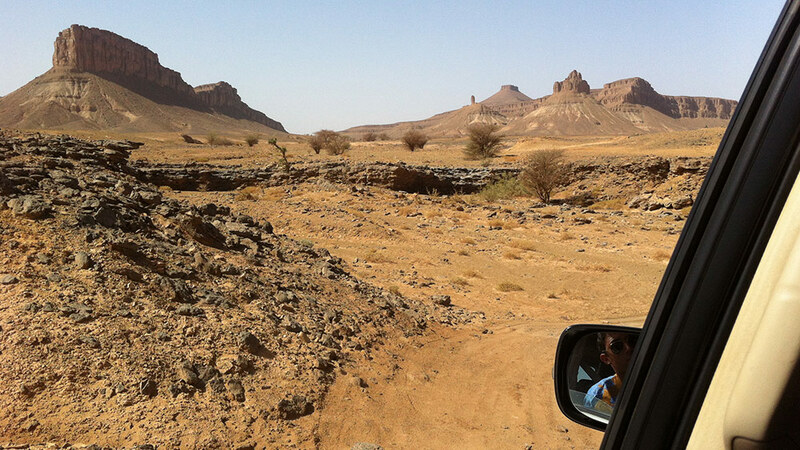 Transfer from Marrakech by 4×4 vehicle with driver-guide to the palm grove of Agdz on the Draa River Valley. Traverse the High Atlas Mountains via the highest main road pass in Morocco (at 2260m), offering some exhilarating driving via lush valleys and traditional Berber villages. Take the route to Telouet (for the Kasbah Glaoui) and then follow the course of the beautiful Ounila Valley to reach the UNESCO World Heritage Site of Ait Ben Haddou. Thereafter, reach Ouarzazate, and then cross the Anti-Atlas mountain range to join the course of the Draa River at Agdz. You will overnight in the palm grove of Agdz in a kasbah guest-house. Drive from Agdz to the Deluxe Desert Camp in the Moroccan Sahara, at the great dunes of Erg Chigaga. 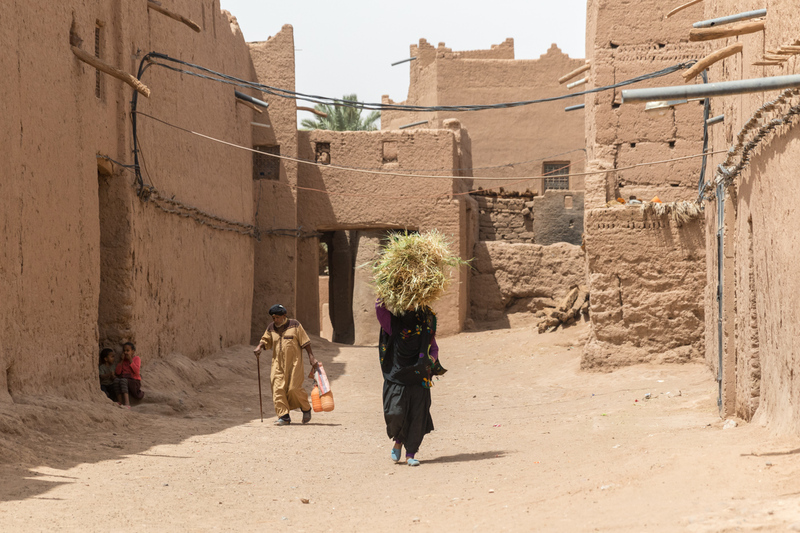 The route follows the course of the Draa River Valley (the Draa is Morocco’s longest river, flanked by glorious palm oases & crumbling kasbahs) to reach the end of the tarmac road at M’hamid El Ghezlane. 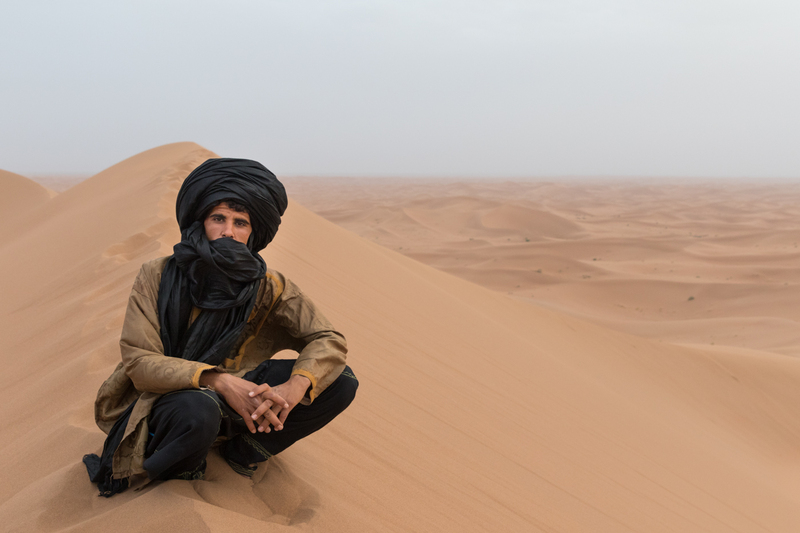 From M’hamid, drive off-road for 2hrs to arrive at the Deluxe Desert Camp with chance to freshen up in your en-suite tent, before taking a chilled aperitif on the rolling dunes. Watch the sunset from a vantage point. Enjoy traditional music next to the campfire after dinner. Overnight at the luxury camp for these next two nights. Day at leisure in the Sahara Desert. Camel-trek out from camp after breakfast and then walk to explore the tallest dunes, or just relax at camp. Lunch is included today. Possibly take a short ride out in the 4×4 before returning to camp in time for sunset aperitifs. Dinner and fire-side music. Overnight at luxury camp once more. 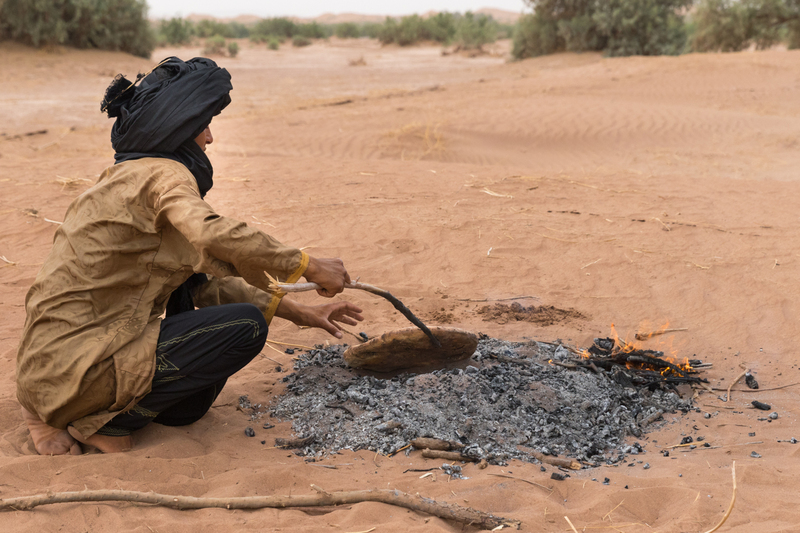 Early breakfast at camp, then drive towards Ouarzazate, to reach your overnight guest-house near the UNESCO World Heritage Site of Ait Ben Haddou. Exit the desert a different route, to reach the tarmac road at Foum Zguid (after 3hrs off-road drive via a dried river course, the vast dried salt flats at Lake Iriqui, and imposing mountain ridges – arguably some of the finest remote scenery in Morocco). Follow the route northwards via Tazenakht, and the outer reaches of the Anti-Atlas mountain range. Shortly thereafter drive along the Ounila Valley to reach your guest-house in a restored kasbah. Drive to Marrakech this morning, expecting to arrive around lunchtime. Once more cross the High Atlas mountains as per day 1 and retrace the route north. desert activities at camp, including camel-ride, guided walking, outdoor games, hammocks. Please contact us for a tailor-made price quotation.